Klimakemp is taking place in the area of Most coalfield, close to the town Louka u Litvínova. We recommend to follow our page about transport and the facebook event. Is it legal? Can I get arrested? The camp itself is perfectly legal. It will also stage an announced and permitted demonstration. Please be aware that your participation on other possible non-violent actions that might stand out of the legal system framework is on your own responsibility. I’m under-eighteen. Can I join? Klimakemp will be in a safe environment so everyone, including the juveniles, is very welcome. However, children under-fifteen need to be accompanied by their parents. If you are between fifteen and eighteen years old and you plan to participate in Klimakemp without your caregiver, please consider the possible risks. Despite our full determination, we might not be able to provide you with all necessary legal information on time. Hence be aware that we cannot vouch for any consequences that might result from your participation in Klimakemp or possible protests. I don’t speak Czech. Can I participate? The climate change has no boundaries and neither does our camp. We welcome participants from other countries. You’ll get an information brochure in English and there will be an infopoint with English speaking volunteers. The lectures held in Czech will be individually translated when possible. We’ll appreciate if you actively search for someone in the camp to help you with the translations. The Czech currency is a Czech koruna (CZK) also known as crown. €1 is equals approximately to 27 crowns. You can withdraw money from an ATM or exchange them in a nearby city of Litvínov. Please do not forget to bring your ID. You can easily get into the camp by train, as train station is only kilometer and half way from camp place (see the map). From Prague you can get into the station Louka u Litvínova with one change in Ústí nad Labem or Teplice v Čechách. From Dresden or Leipzig you can change in Ústí nad Labem or take bus from Litvínov. From train station Litvínov there are buses coming into the town. Get off at the station Louka u Litvínova U Maříků (4 bus stops). It really close to the camp. We’re going to sleep in the field. Please take a tent, sleeping bag and sleeping mat. We recommend having camping equipment: a sleeping bag, sleeping mat, tent, plate, cup, cutlery, food, drinks and water bottle. Think carefully about the clothing. It might be useful to have a warm sweater, raincoat or waterproof jacket, sunglasses, head cover and sturdy shoes. Do not forget your ID, money and medicine if you take any. People with musical instruments tend to be very popular. Klimakemp should be a welcoming and safe space. Hence leave at home any weapons, explosives, strong alcoholic beverages, drugs and other narcotics. Also do not bring unreasonably long knives, glass bottles and liquids of unknown origin. Generally, please leave at home any items that could be considered a weapon. We also recommend leaving at home your valuables. Many events. We plan two blocks of day lectures, discussions and workshops. The first block is going to be dedicated to the topic Degrowth. The second one is going to be opened to the participants. This is your chance to organize your own lecture or workshop. The educational dimension is going to be extended by cultural events and community volunteering in the evening. The camp is going to peak at the action weekend which is going to be full of possibilities to stand against coal mining. We are going to prepare a common vegan breakfast, lunch and dinner. Don’t forget to bring a durable bowl or plate, a cup and cutlery. Volunteers in the kitchen will undoubtedly appreciate your help so don’t hesitate to offer it. There will be drinking water and a bar at the location. There will be composting toilets and provisional showers. However, the shower capacity will be limited. Hence please follow the basic hygiene procedures such as hand washing to avoid trouble. It’s up to you to consider whether it is a good idea or not. If you decide to bring your pet, please make sure you have it under control for the full duration of the camp. Bear in mind that some people might not feel comfortable in their presence. What else can I do to participate in Klimakemp? By coming. 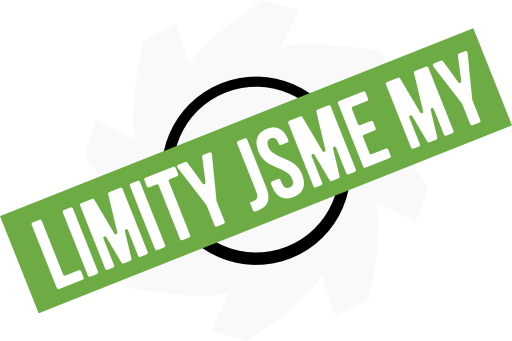 Klimakemp is an event that will work on the principals of sustainability and solidarity. We don’t make it for you, we make it with you. We are going to be at the location already at the weekend of the 17th and 18th of June. We will welcome your help with setting up the camp. We will also need different materials and things such as tools, sawdust and eating tables. If you’re interested in helping to pitch the camp, please send us an email. Is civil disobedience going to be included? Civil disobedience is a common and widely used method to stand against unjust or untenable actions. By non-violent rule breaking, we demonstrate that we are ready to bear the consequences of breaking the law in order to point out to a very serious problem ignored by the political and legislative powers. It is generally agreed upon that humans cause the climate change and that the emissions of carbon dioxide from fossil fuels need to be strictly reduced. It is also undeniable that the climate change negatively affects millions of people, mainly those who contributed to the change the least. The extraction and fossil fuel burning have a negative effect on the Czech landscape and damages the health of thousands of people. The Czech and foreign politicians do not search for solutions. Instead they give empty promises and create environment that allows further extraction and burning of fossil fuels, extension of mines and selling of old power plants to coal barons. The Paris climate conference brought an agreement to keep the warming under 1,5 degrees Celsius but it doesn’t appear to be actively implemented. That is an unbearable injustice. To peacefully stand against the coal infrastructure might mean to commit a minor offense. However, it is legitimate and even necessary within the current political situation. It means to uphold the long tradition of civil disobedience which places individual consciousness above formal law as was the case of Charta 77 or the pre-revolution demonstrations for clean air in North Bohemia. What is the link between the camp and the civil disobedience action? Klimakemp is a place that is to give the participants space for coordination, networking and autonomous civil action. However, we plead that all participants follow the agreed and approved action consensus. It was established non-hierarchically through a discussion of members of the movement. It specifies the conditions in which they are ready to take action themselves. Should anyone ignore the consensus, they cannot count on our support in their actions or in dealing with the consequences. I don’t want to take part in civil disobedience. Can I join the camp? Sure! There will be also demonstrations against the climate change, fossil fuels and for climate justice. There will be space for anyone to voice your opinion. We want people in the Czech Republic to join actions of civil disobedience. We plan several training sessions during the camp. They will provide the participants with the necessary preparation. Everyone should be given the chance to gain the knowledge necessary for similar actions from the more experienced participants. What is an affinity group? Should I have to join one? It is better to participate in legal demonstrations or civil disobedience actions in a group of four to ten people for its better coordination. Such groups are called affinity groups. Their members can trust each other, they take care of one another and they take common decisions and actions. It is mostly important to have a common goal. Every affinity group can send their delegates with the group’s suggestions to a collective plenum. The plenum will decide on further collective actions by consensus. We recommend forming an affinity group before the camp, but there should be space to form yours during the camp. Don’t hesitate to ask someone at the camp to help you with the non-hierarchical organization. Its practical use is one of the Klimakemp goals. What to do in case of civil disobedience? We ask everyone who wants to take part in civil disobedience to follow the action consensus and to strictly avoid violence. Take care of your affinity group, mainly of one of its members who you are paired with as buddies. It is probable that you will commit a minor offense by civil disobedience – mainly disobeying a police call. That can lead to up to 48-hour-detention and a fine. Should you get arrested during the camp, be sure that you won’t be left alone – the other participants will do their best to achieve your release and they will help you to bear the consequences. We are going to publish here a legal analysis of the most common offenses that could be committed during the camp. There will be also a voluntary civil team of lawyers whose support will be available to everyone following the action consensus. If you study the law or you are a lawyer and you’d like to join the team, please send us an email. What if something happens to me at the camp or the events? Everyone will take care of everyone at Klimakemp. There will be also a medical team ready to help if needed. If you study medicine or you are a paramedic, please send us an email if you want to join the team.